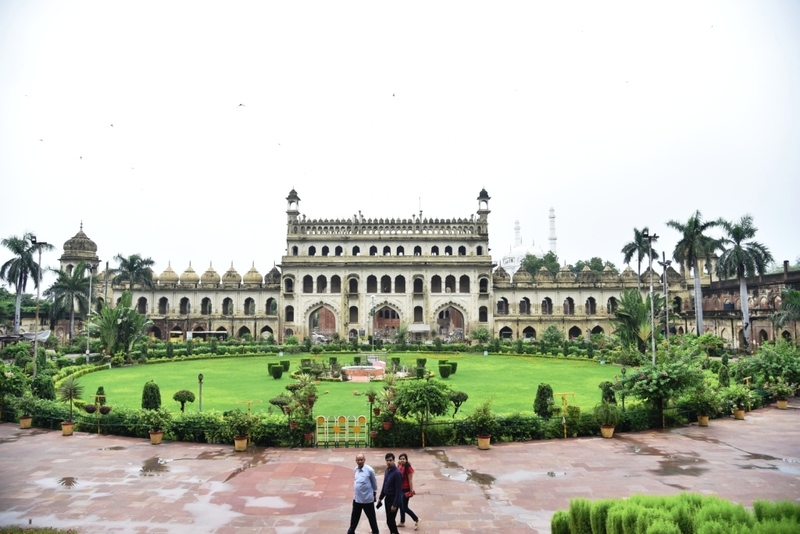 There are many historical places to visit in Lucknow out of which the most splendid and unique structure known as Bara Imambara is one of the most famous monuments in Lucknow. This most important place of worship of the Muslim community also known as Asafi Imambara was built by Nawab Asaf-ud-daula in 1784. Every year most of the Shia Muslims get together at Bara Imambara for various ceremonies especially to celebrate their religious festival Muharram. The construction of this Imambara is very distinctive. It has a central hall whose length is 50 meters and height is above 15 meters and is regarded as the largest arched hall in the world with absolutely no pillars supporting the roof. The most well known attraction of this monuments is the incredible and awesome maze known as Bhool Bhulaiya situated at the upper floor of the structure. No wood or metal, but only Lakhauri bricks were used to build this structure. One can also view the tomb of Nawab Asaf-Ud-Dowlah and his crown, that has been kept in the central hall. Visitors remain spellbound seeing the most magnificent architecture of this best historical place in Lucknow that symbolizes the Nawabi heritage of Lucknow. Chattar Manzil is said to be one of the important monuments in Lucknow having an umbrella shaped dome. Nawab Saadat Ali Khan started the construction of this beautiful monument and it was completed after his death by Nawab Nasiruddin Haider. In 1780’s Chattar Manzil was built in Indo-European architecture style, but in 1857 revolt it was damaged by the British and reconstructed in their own style. This palace displays the royal lifestyle of the Mughal Nawabs and the beautiful gardens all around. Recently an office for the Central Drug Research Institute was set up here, but now a decision is taken to build two new museums and a library. Thus making it an interesting historical place in Lucknow to visit. 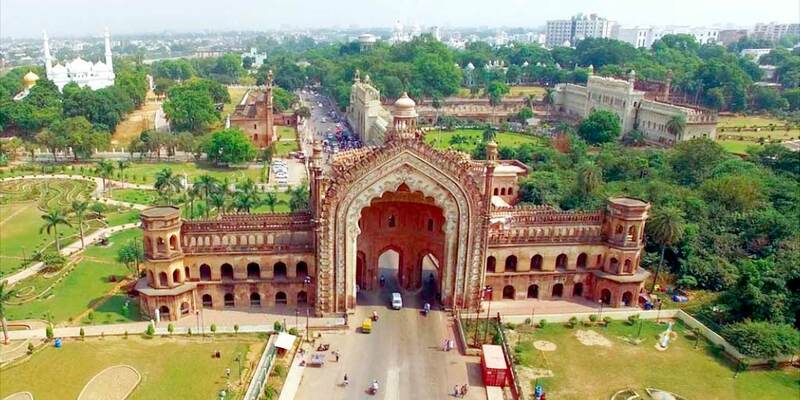 If you are looking to know about the places of historical importance in Lucknow, you will come across several monuments in Lucknow city out of which Rumi Darwaza, an impressive and splendid monument built with Awadh architecture is worth visiting. This is is the most important entrance point of the old Lucknow city also known as the Turkish gate was constructed in 1784 during the reign of Nawab Asaf-ud-Daulah. A huge lantern placed on the top of the gate brightened up the structure at night and kept this magnificent gateway glowing the whole night is the greatest attraction for visitors. To see the beauty and elegance of this historical gateway and the awesome Awadh architecture one must visit this place at night. 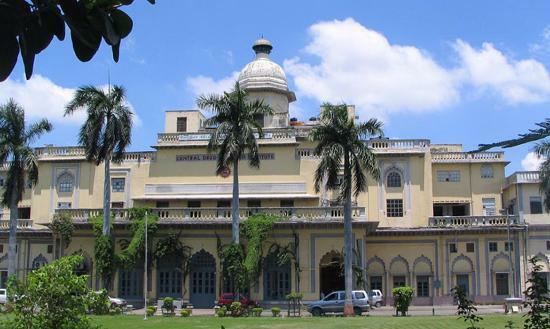 The Residency or the British Residency is a well known ASI monument in Lucknow. 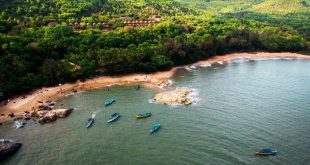 It is protected and managed by the Archaeological Survey of India. 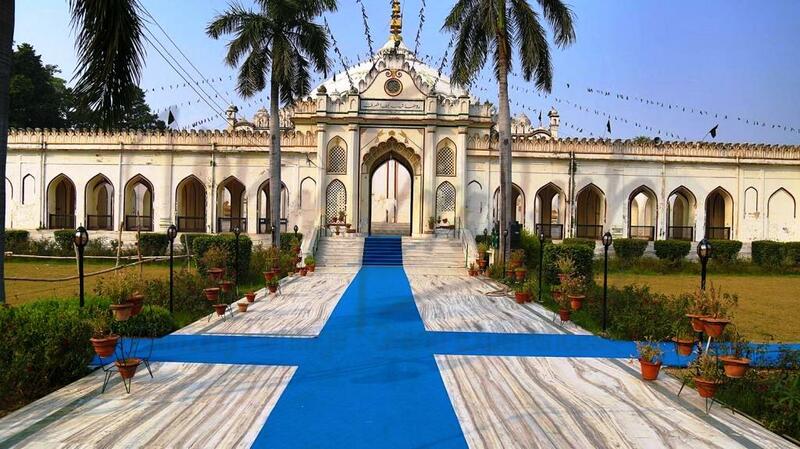 It was constructed during the rule of Nawab Saadat Ali Khan II, the fifth Nawab of Awadh. This 1857 Memorial museum is situated in that part of the building which is an extension of the Residency. Historical objects and memories related with the first war of Indian independence are stored and exhibited in this museum. Excellent collection of old photographs, paintings, lithographs, documents, and antique objects like guns, swords, musketing canons, rank badges and medal are some of the interesting things that are displayed. Certain paintings giving the pictorial details of the battle fought at the Residency are also displayed. 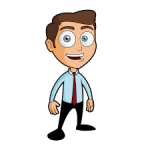 Everything that is displayed is arranged in a chronological order so that even a common man can get an idea about the particular order in which the events had taken place. One can also have a look at the portraits of the local heroes and the original photographs associated to the uprising. The museum has a ground floor with four galleries and a basement with seven galleries. A new gallery has been included in the basement that displays the artifacts that were excavated from the southern part of the Residency. 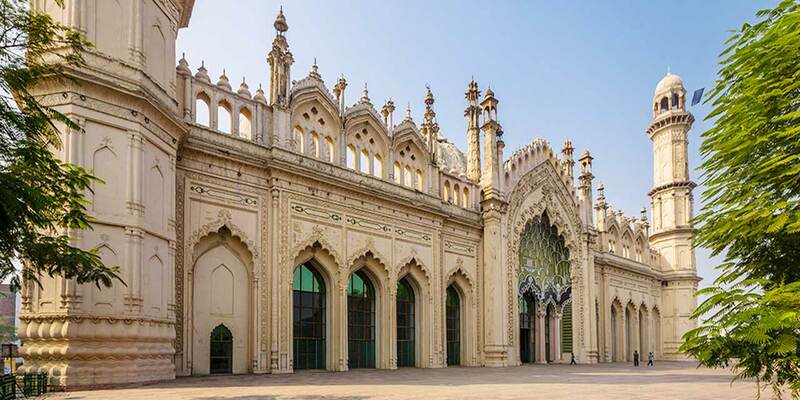 1857 Memorial Museum, a part of this well known British monument in Lucknow can be visited on all the days of the week from 10 am to 5 pm except on Monday as it remains closed. Chota Imambara is a beautiful example of finest Mughal architecture that was created under the reign of Lucknow’s third nawab named Muhammad Ali Shah in 1838. This imambara is actually a congregation of the Shia Muslims among which the two famous ones are Bara Imambara and the obvious Chota Imambara. It is also known as the Hussainabad Imambara. Muhammad Ali Shah actually built this Imambara during the times of crisis when Lucknow, which was known by the name Oudh back then, had been struck by famine. This construction process generated some work which helped the farmers earn for a proper living till the completion of the Imambara in 1837. From the list of monuments in Lucknow, the tombs of Saadat Ali Khan and the begum are the important and impressive historical monuments. Saadat Ali Khan ruled from the year 1794 to 1814 and after his death his elder son Ghazi-ud-Din Haider was crowned as the Nawab who took the responsibility of constructing the tombs of Saadat Ali Khan and his wife Murshid Zadi. These attractive tombs are located just near Begum Hazrat Mahal Park and they represent the genuine architecture of Awadh. Lakhori bricks and chuman, a special lime mortar were used in the construction of these tombs and it also consisted of white and black colour marble squares. The symmetrical shaped domes alongwith the sophisticated kiosks has enhanced the beauty of these tombs making it an attractive and interesting historical place to visit in Lucknow. Begum Hazrat Mahal the first wife of Nawab Wajid Ali Shah, also known as the ‘Begum of Awadh’ was a courageous woman popularly known for her great contributions in the first war of independence in 1857. With due respect to her contributions the State Government had built a marble memorial in her honour in the old Victoria park in Hazratganj on 15th August 1962. The memorial was beautifully decorated with flowers and multicoloured lights and the park was renamed as Begum Hazrat Mahal Park. 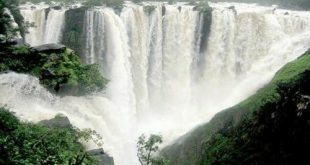 Splendid and attractive fountains, flowers, trees, stoned pathways and greenery all around enhances the beauty of the park and attracts more and more tourist towards this impressive historical place of Lucknow to relax and enjoy the the peaceful atmosphere. This amazing park is a perfect place to spend weekends with family and friends. Ramlilas, Dussehra celebrations and Lucknow Mahotsav are also held this park. Kaiserbagh Palace is considered as one of the popular Mughal monuments in Lucknow displaying it’s magnificent architecture. It was constructed between 1848 and 1850 during the rule of Nawab Wajid Ali Shah,an expert in art and architecture who anticipated this impressive and attractive palace to be the eighth wonder of the world. On the Northern side this palace extended from the Chattar Manzil to the Tarawali Kothi and on the southern side from Roshan-ud-Daula Kothi to the Naulakhi Kothi. Ionic columns, Moorish minarets, Hindu umbrellas, lanterns, pediments were included in this beautiful palace and at its center there is a white stone structure named Baradari. Use of gilt crowns, Mughal style pavilions and European style statues has made this palace more appealing and attractive. But during the British attack in the year 1858, a part of the palace suffered severe damages. Due to the splendid architecture of Kaiserbagh palace, it is regarded as an important historical place in Lucknow and a famous tourist attraction. 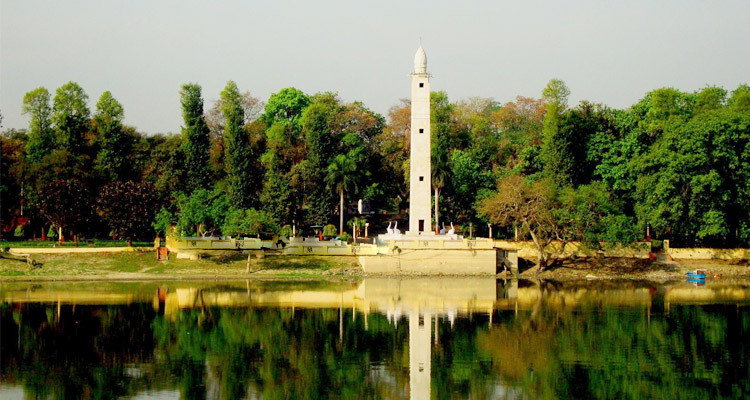 The amazing Hussainabad Clock tower considered as one of the tallest clock towers in India, was constructed by Nawab Nasir-ud-din Haider in 1881, included in the list of historical monuments in Lucknow is a well known tourist visiting spot. The artistic and structural skills of the Englishmen who built this clock tower which is a replica of the BIG BEN clock tower of london is appreciable. It is situated close by the Rumi Darwaza, the popular historical place in Lucknow. This 67 meter high clock tower has a huge pendulum of 14 feet length and the dial of the clock is given the shape of a flower with 12 petals and bells around it. Gunmetal is used for the construction of all the parts of the clock. In 2010, the administration had made a decision to replace the clock, but with the passion and hard work of Captain Paritosh Chauhan and Akhilesh Agarwal the clock was repaired and made functional and finally after 27 years on September 13, 2011, the chiming sound of the huge clock tower could be heard. Shah Najaf Imambara is also one of the attractive monuments at Lucknow constructed in the year 1817 by Nawab Ghazi-ud-din Haider to pay tribute to Caliph Hazrat Ali a dynamic leader of Islamic State. It is an onion shaped dome, white in colour and said to be the replica of a tomb in Iraq called as Najaf-e-Ashraf. After Nawab Ghazi-ud-din Haider’s death this same place became a magnificent and impressive tombs of Nawab and his three wives. At the entrance of this structure there is a beautiful garden and at the center there is a silver tomb of Nawab Ghazi-ud-din Haider. All around the big dome there are stylish passages and modern material and lime is used for plastering the entire structure. The central hall is elegantly decorated with historical pictures and articles. 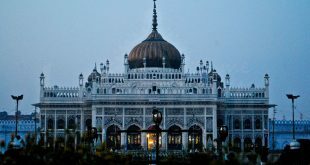 This Imambara is often visited by Muslim devotees especially during their religious festival Muharram and it’s unique and magnificent architecture makes this important historical place in Lucknow a perfect tourist destination. Jama Masjid a huge mosque or place of worship for Muslim devotees constructed by Sultan Ahmed Shah in the year 1423 is one of the famous historical monuments in Lucknow. It is located near Munshi Pulia Chauraha, Indira Nagar in Lucknow. 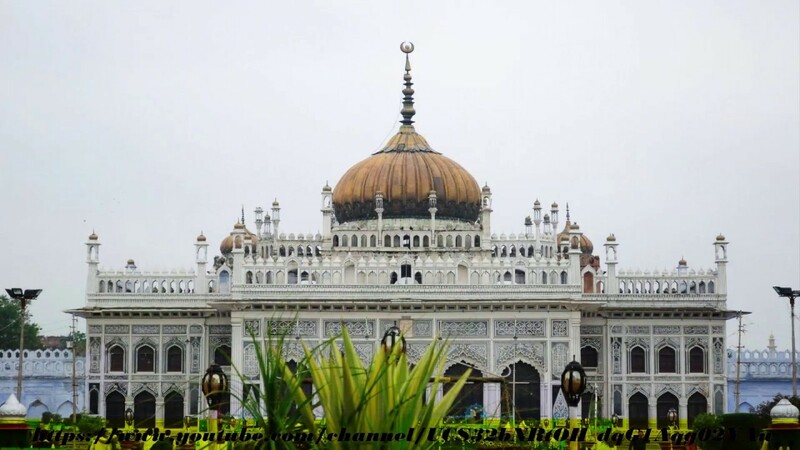 It is one of the most beautiful mosque in India and Lucknow’s most significant place of worship for the muslim community who gather in large numbers especially in all festive or auspicious occasion. In Lucknow this splendid masjid is also known as Jami Masjid. This whole structure has a combination of both muslim and hindu architecture and is built with yellow sandstone. It stands entirely on 260 pillars that supports 15-arched domes at different heights. The wonderfully carved pillars that have drawn inspiration from the Hindu and Jain culture and the beautifully designed and decorated domes are admirable. On the western side of the huge courtyard of Jama Masjid that measures 4950 square meters there is a big hall ie. an area of prayers that has the support of 260 pillars and on the eastern side of the entrance one can find the tomb of Sultan Ahmed Shah which is taken care of till today. Tourists must make it a point to visit this historical monument of Lucknow which is one of the architectural wonders that can leave them spellbounding. 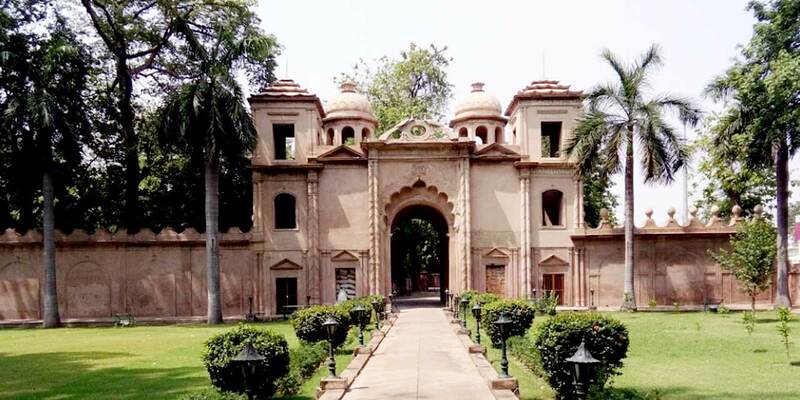 Dilkusha Kothi located in Lucknow is the exact carbon copy of Seaton Delaval which is the English Country House located in Northumberland of England which was built in the year 1721. Replicating the architectural brilliance of the original building, Nawab Saadat Ali Khan created the Dilkusha Kothi that has magnificent garden closeby. The construction took 5 years to be completed which started in 1800 and was completed by 1805. A story revolves around the Dilkusha Kothi that says the Kothi was actually meant for early balloon lift-off an Englishman. The ascent was seen by spectators in the year 1830, however, it was organized by Claude Martin who was his neighbor and a Frenchman. Shaheed Smarak is located just opposite to the Residency by the banks of River Gomti. 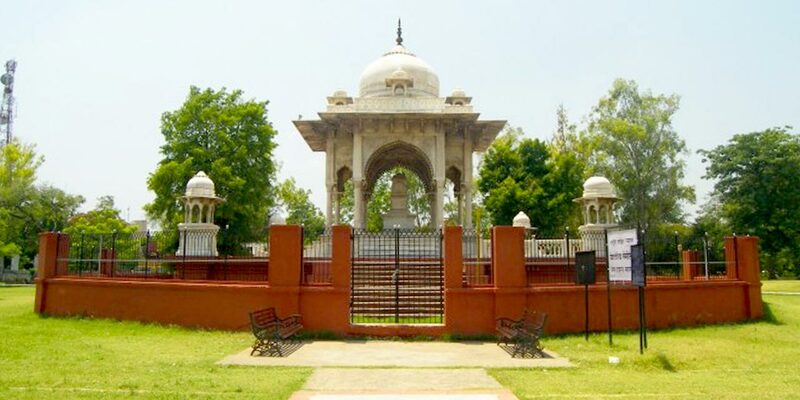 It is a white memorial made of marble constructed amidst the greenery of the park. 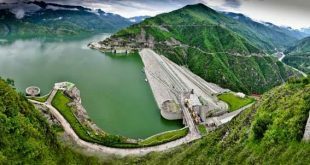 It was constructed back during the 1970s which is dedicated in the memory of the martyrs of the country who gave away their lives back when India was fighting for its freedom. It was also erected in an effort to mark a centenary celebration for the 1857 Sepoy Mutiny. 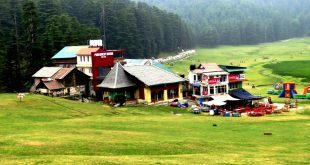 Spending time at this place is completely relaxing given the fresh and cool air coming in from the River passing through the tall trees while providing complete serenity for the visitors. 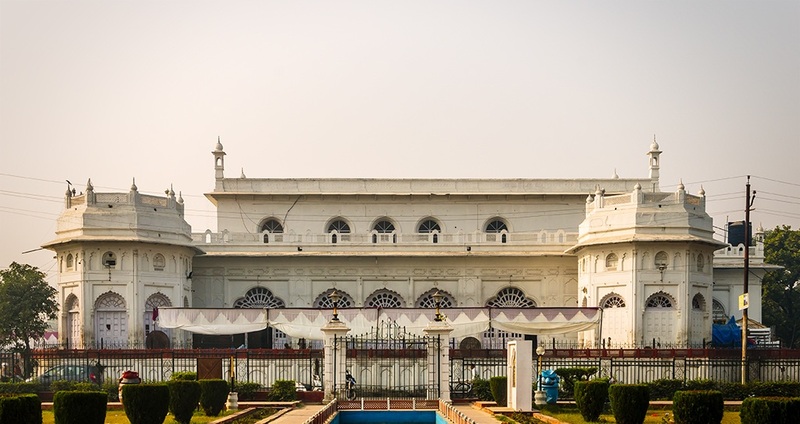 Baradari, also known as Safed Baradari for the white color, the Baradari located in the Qaiser Bagh was actually constructed to represent a place for mourning which was also known by the name Qasr-ul-Aza. The Baradari was actually built by Wajid Ali Shah who was Awadh’s last king. It was meant for observing the Azadaari (mourning) dedicated to the martyr Imam Hussain as well as his followers who died at Karbala. The Baradari is a building that houses 12 doors. Currently, the Baradari is being used for the purpose of organizing wedding receptions as well as dinner parties. 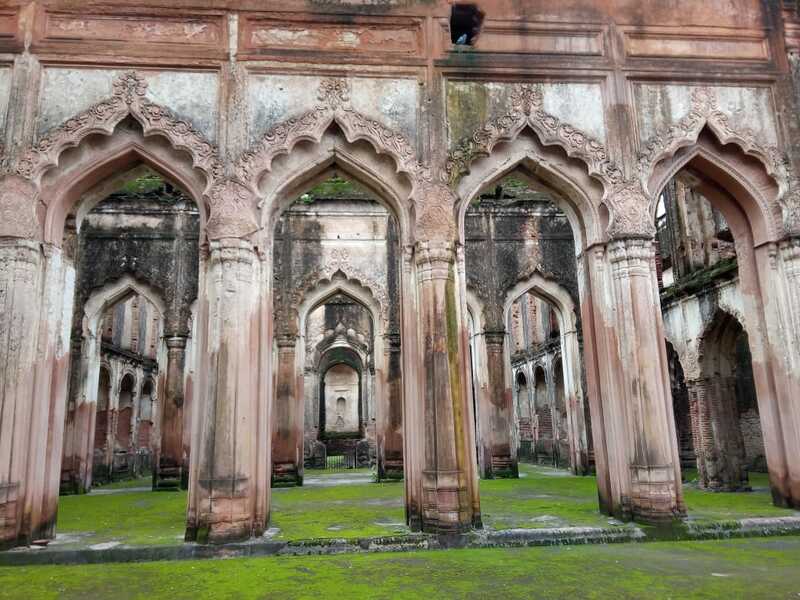 The Baradari still retains its shape with regular maintenance done by the government. Sikandar Bagh which is a beautiful recreational garden located in Lucknow was build during the 1800 AD under the Nawab Saadat Ali Khan. After that, the garden was maintained by Avadh’s last Mughal king Nawab Wajid Ali Shah. 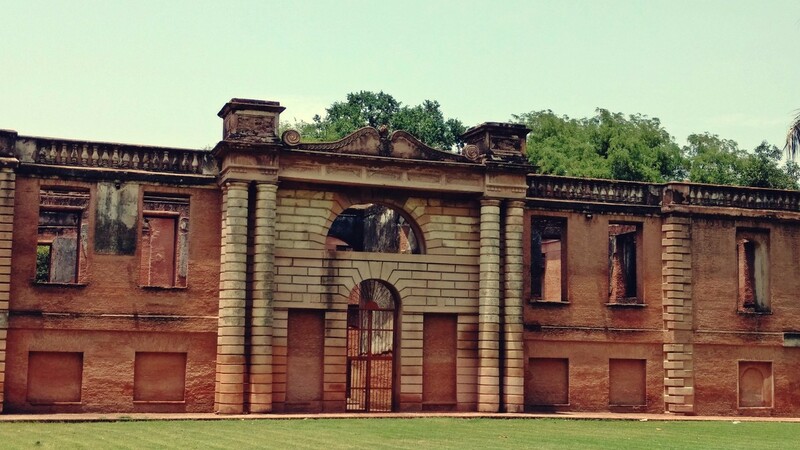 Apart from that, Sikandar Bagh was supposed to act as a venue for relentless battle of the 1857 revolt during which about 2000 freedom soldiers were blocked inside the garden and then eventually killed by the British in a vicious attack. Many war articles such as swords, cannon balls, muskets, shields, and even rifles were excavated from this garden. You can also see Uda Devi’s statue inside the garden who was a fierce fighter that battled alongside the freedom fighters. 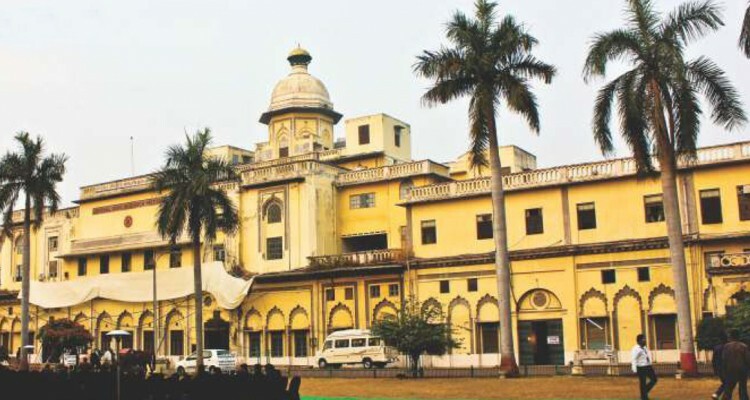 The La Martiniere College located in Lucknow was established back in the year 1845 which now serves as an institute dedicated for quality education. The college is divided into two campuses, one for boys named La Martiniere Boys and another for girls named La Martiniere Girls. The La Martiniere Boys’ College is actually the only one to have received the award for Royal Battle Honors. This was for the role played by the college rendered in defense of Lucknow while the city was being affected by the 1857 Mutiny. It is among the best and perfectly preserved example of Colonial building which is located in Lucknow. 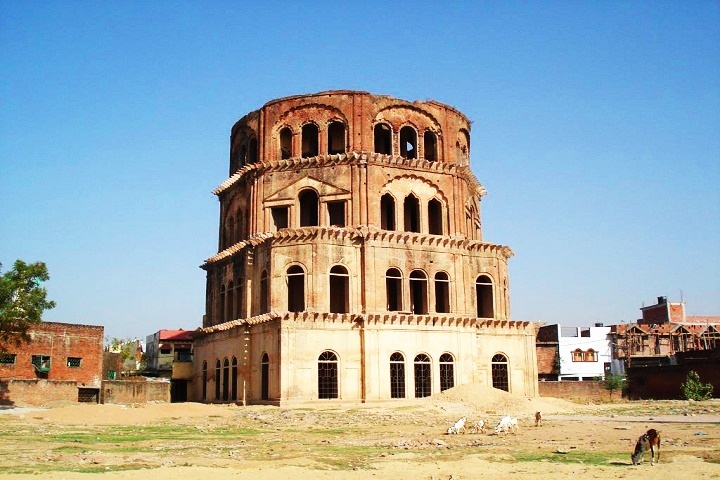 Satkhanda was built by Nawab Mohammad Ali Shah in the year 1842 which is a particularly maginificent structure that is actually the decaying remnants of clock tower which was 67 m high made from red bricks. It is apparently among the tallest one located in India and was built as a memorial for Sir George Couper who was the reform-minded UP Governor. The Satkhanda displays the perfect blend of structural designs adopted from examples in Italy that reflect a great finesse in terms of structural integrity. It is also said that the structure has been inspired from the design of the famous “The Leaning Tower of Pisa”. The octagonal ground floor part of this particular structure is around 10 feet which makes it the tower’s highest storey while the height as well as breadth goes on decreasing as you reach towards the top. Planning to visit Lucknow, then it is very important to know what are the historical places in Lucknow. 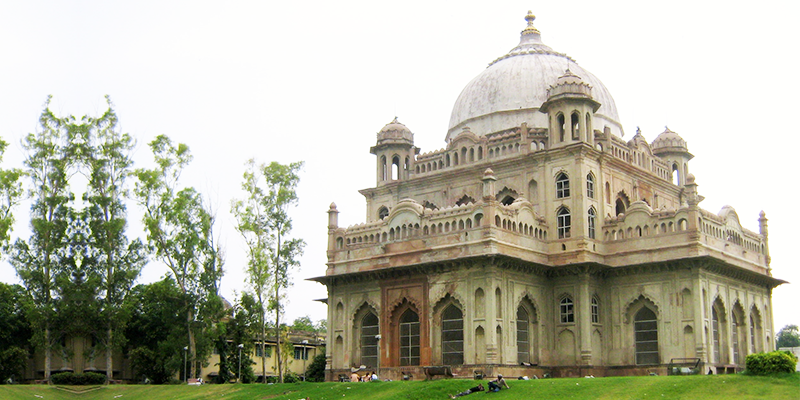 Lucknow has innumerable monuments and historical places, which is a perfect reason to explore this city. If you are aware of all historical places in Lucknow then you can plan your sightseeing accordingly and enjoy your tour. According to Archaeological Survey of India (ASI) there are nearly 366 monuments of national importance in Lucknow city of Uttar Pradesh. The main objective of ASI is proper maintenance of ancient monuments and archaeological sites and remains of national importance. They are undertaking various schemes to assist people in getting involved in conserving their archaeological and cultural heritage. 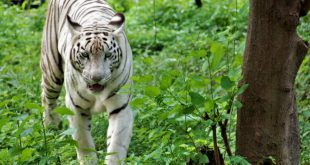 Thus one can explore city’s most beautiful and incredible past by visiting the innumerable heritage monuments in Lucknow that are perfectly maintained till today.